Last month, Historydaily.org posted an article showing a time-lapse of dorm life at the University of Wisconsin – Madison (UW-M) over 110 years. 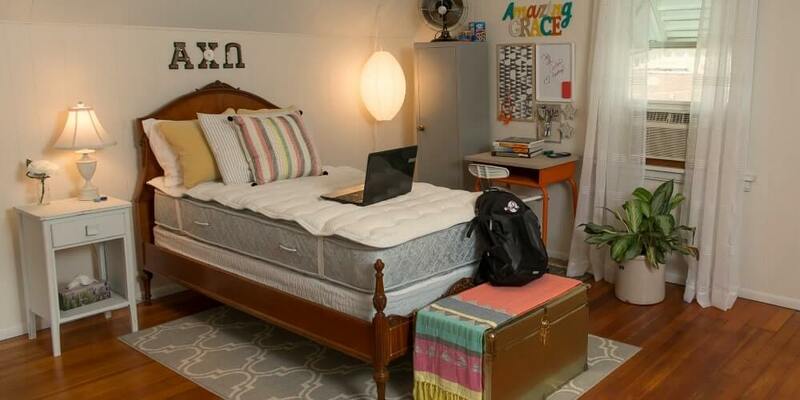 From 1898 – 2008, there was an obvious change in fashion and decor, yet dorm room essentials like desks, books, chairs, and beds remained the same. How Much has Dorm Life Really Changed? Let’s take a look at dorm life throughout history vs. today, and discuss why students in the 21st century know how to study and sleep better than their predecessors. One photo from 1927 shows an advertisement boasting running water, a phone, an ironing board and an innerspring mattress. Innerspring mattresses were considered a luxury at that time because prior to that; dorm mattresses were comprised of feathers or cotton, both of which were subject to bugs, bacteria, and mildew; remember the term “don’t let the bedbugs bite.” Cotton mattresses also tended to compact and become harder with age, so sleeping on a mattress filled with springs for a change probably felt soft and luxurious. What students, who later enrolled, didn’t know is that innerspring mattresses become too soft as they age, so they start to sag. Students sleeping on saggy mattresses probably tossed and turned throughout the night, and woke up foggy before heading to class. If quality mattress toppers like DormTopper were available back then, students could have slept much more soundly and woke up more refreshed. Up until the 1940s, the UW-M allowed students to smoke in their dorm rooms. It’s safe to assume that if a non-smoking student ended up with a roommate who was a smoker, he probably had a hard time concentrating on school work and even getting a good night’s sleep while coughing through the smoke. In 1947, smoking was banned in dorm rooms, much to the delight of non-smokers who were ready to breathe easier and sleep better. Back in the 60’s, it wasn’t all that uncommon for students to be married in their teens and early 20s. To accommodate these couples, the university offered dorm rooms furnished with beds for two. Considering that innerspring mattresses were still popular, chances are if one partner tossed and turned at night, the other one felt it. It probably didn’t allow for waking up refreshed enough to conquer a day of classes. Most students today marry after college, and those that do marry as students live off campus. University administrators now know that in order for students who live on campus to focus on study skills and get good grades, they need to concentrate on school work rather than relationships – and sleep in a bed of their own. Up until the 80’s, if students weren’t studying or socializing they were sleeping. Once UW-M started allowing televisions into dorm rooms, it not only decreased students’ ability to concentrate on school work but also most likely reduced the amount of hours they slept. And who can blame them with Knight Rider and Tales from the Darkside available all night? Today, researchers know that for the brain to function at its best, we should turn off all electronics while studying and at least an hour before bed. Hopefully, students of today listen to this study tip and swap TV for a quiet book before falling asleep. One thing that has stayed consistent throughout history is that college students often sleep in bunk beds. Bunk beds are great for dorms since they save a lot of space and provide a sense of privacy, but they move whenever either roommate moves. Back in the 20th century, most students probably woke up tired because the sleeper above them tossed all night due to saggy innerspring mattresses. Today’s students have comfortable mattress toppers like DormTopper available that prevent them from tossing and turning all night and disturbing their roommate. 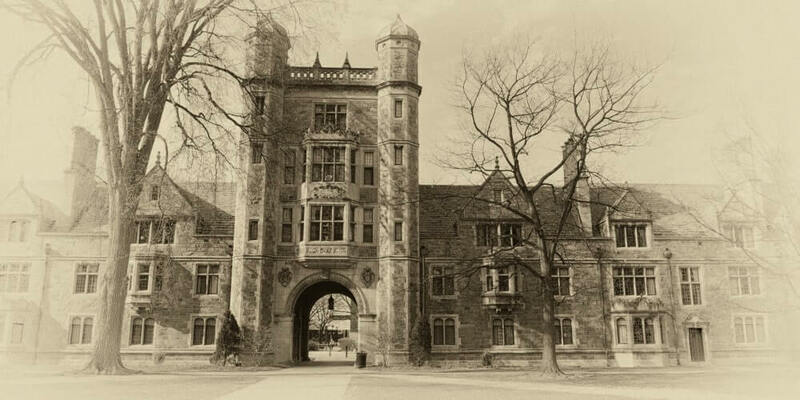 It’s fun to look at the history of campus life. Seeing how students of the past have studied and slept is a great tool for discovering how students of today can do them better. DormTopper provides a padded, anti-bacterial sleep surface that’s much more comfortable than the mattresses provided on dorm beds, so students can wake up sharp and ready to learn.